Preheat oven to 350F. Grease and flour one Bundt pan. In a large bowl, cream the butter and sugar together until fluffy. Add the egg, buttermilk, vanilla and sour cream, stir to combine. In separate bowl, Whisk together flour, cocoa, baking powder, baking soda, baking powder and salt in a large bowl until well combined. Add to the wet ingredients and mix until a uniform batter forms. Pour into prepared pan. Bake 55 minutes or until a thin knife inserted in the middle comes out clean. Cool 5 minutes on a wire rack, then remove from the pan. Cool completely. 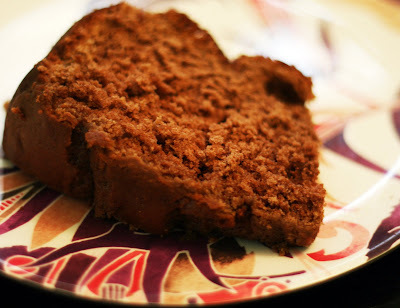 This a simple cake in implementation and in appearance but the flavor is remarkably chocolaty. The buttermilk and sour cream keep it moist and heighten the chocolate flavor. It it is the perfect cake to just make at the spur of the moment to have for dessert or to take to a gathering-it mixes together quickly and doesn't need an icing or a glaze to be perfect. In a large pan, heat about 1/4 inch oil. In a large bowl, combine the eggs and the matzo meal. Add potatoes, carrots and onion. Toss to combine. Form into flat patties. Fry in hot oil, flipping half way through, until just golden. Drain on paper towel lined plates. For this year's latkes I was excited to try out my new mandoline which made great, long, thin strips of the potato, carrot and onion much faster than traditional grating. I also thought that the latkes cooked through a little better than when I've grated potatoes with a box grater; none of the latkes had even the slightest bit of raw potato, something I've occasionally encountered in these types of potato latkes. That said, you don't need a mandoline to make great latkes, a box (or other) grater works fine. A lot of people use a food processor to shred the potato but I personally think it chops the potato up a bit too much and the latkes sometimes become a little gluey as a result. This Hanukkah I added carrot to the potato and really enjoyed it. It wasn't much of a change texture-wise but it added a bit of sweetness to the potato. Plus it is always a good idea to sneak in a little extra vegetables on a holiday devoted to fried foods. 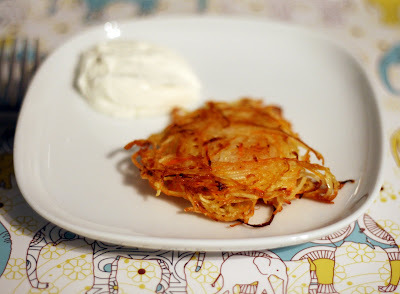 Latkes are rather time consuming and I know we rarely bother to make another side dish when we have them. Place all ingredients in the slow cooker. Cook on low overnight (6-8 hours). Stir and serve. 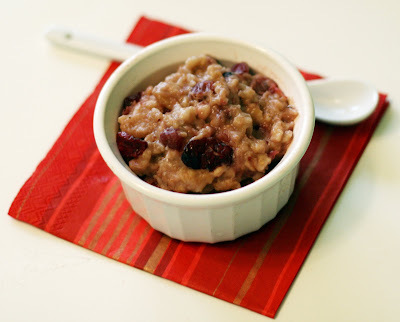 Is there anything easier to make for breakfast than overnight oatmeal? It is super creamy and requires no effort in the morning-perfect for workday mornings, holidays, brunch etc. I added more sugar than I normally would to oatmeal because cranberries are quite tart but the cereal wasn't sugary, just pleasantly spicy and cranberry filled. Preheat oven to 350. Line or grease 2 cookie sheets. In a small bowl, whisk together flour, baking soda, coconut, baking powder and salt. Set aside. In a large bowl, cream together the butter and the sugar. Beat in the egg. Add the lime juice, zest and mix. Add the flour and mix until a soft dough forms. Drop heaping teaspoons of batter on the lined cookie sheets about 1 1/2 inches apart. Bake for 10 minutes or until just golden. Remove to a wire rack to cool. In a small bowl, whisk together the glaze ingredients, adding more confectioners sugar if needed to thicken. Brush on cooled cookies. These are remarkably light and fresh tasting cookies. They have a slightly chewy texture and the glaze highlights their sweet-tart flavor. They also freeze well. Line 12 wells of a mini muffin pan. Using an electric mixer, thoroughly combine the sugar and peanut butter. Set aside. In a small pan, melt the butter and chocolate together over low heat, stirring occasionally. Remove from heat and allow to cool slightly. Place about a teaspoon of chocolate in each lined well and use a small spatula to coat the sides and bottom of each liner. Add about 1/2 tablespoon of the peanut butter mixture to each well. Cover each with remaining chocolate. Top each with a peanut. Refrigerate or place in a cool location until firm. 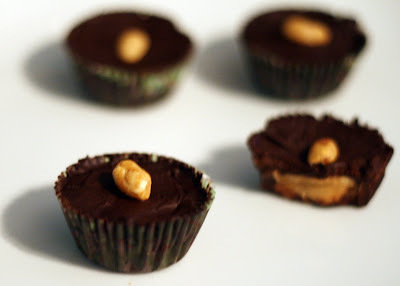 Store uneaten chocolate cups in a cool, dry place. I am a big dark chocolate fan and rue the day that Hershey stopped making their dark chocolate Reese's Cup miniatures, they had a great chocolate to peanut butter ratio and weren't nearly as sweet as the milk chocolate ones. Luckily it is pretty quick and easy to make a homemade version. I like to use super dark chocolate but you could use something a little closer to semi-sweet if you'd prefer. In a large bowl, cream together the butter and sugars. Add the egg and vanilla and beat until fluffy. Meanwhile, whisk together the flour, spices, salt and baking powder in a small bowl. While the beater is going, slowly incorporate the flour into the egg/butter mixture and mix until a thick dough forms. Place in a bowl, cover and refrigerate 1 hour or until it is quite cold and stiff. Flour a clean, flat surface. Preheat oven to 350. Line 2 cookie sheets with parchment paper or silpats. Place the chilled dough on the flour and roll it out until it is about 1/4 of an inch thick. If the dough is too cold to successfully roll out, wait a few minutes then try again. Cut out into animal shapes. I do not suggest re-rolling the dough so try to cut out the cookies as close together as possible. 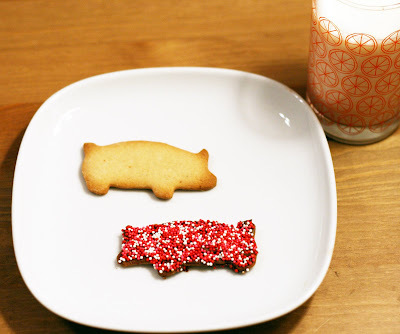 Place each cookie onto the lined cookie sheets about 1/2 inch apart. Bake for 10-12 minutes or until golden. Cool on a wire rack. Meanwhile, in a small pan, melt the butter and chocolate chips together. Dip the bottom of the cooled cookies into the chocolate (carefully!) or brush the chocolate on to the bottoms to form a thin layer. 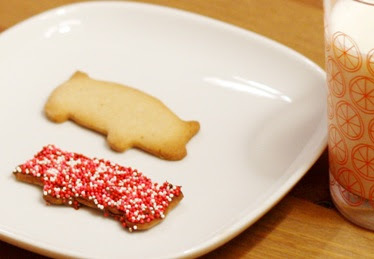 Sprinkle with nonpareils if desired. Note: if you are doubling or tripling this recipe it will probably take more than an hour to chill. Even overnight would be okay. After sampling a number of animal crackers (and reading their ingredients) I became convinced that the secret ingredient, what gives them that distinctive animal cracker taste, is a fair amount of mace. You don't see many recipes that call for mace (and it is the spice I get the most e-mails from people asking for a substitution or if they can just leave it out) but adding it really made the difference. Mace is made from the reddish outer coating of the nutmeg seed* so it has a similar flavor to nutmeg but is a bit more spicy and much stronger tasting. Mace is most commonly found ground but it is possible to purchase mace "blades" which are pieces of this outer coating. 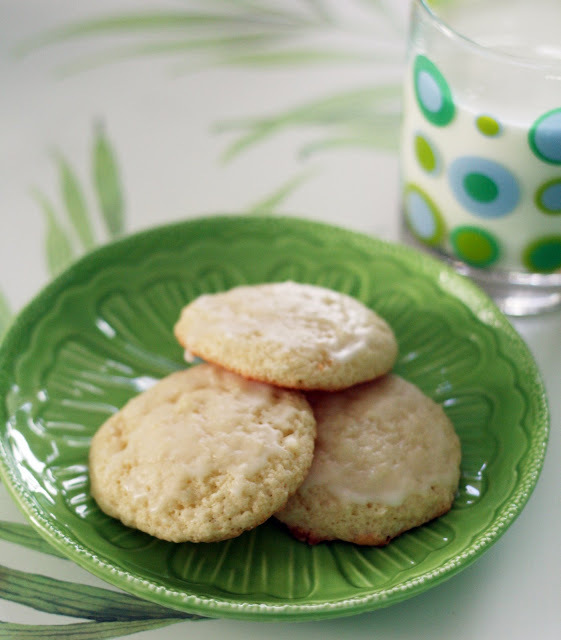 By incorporating mace into my go-to sugar cookie recipe and scaling it down quite a bit (but feel free to double or even triple the above recipe-I just made a manageable amount of cookies for us) and making a few tweaks here and there and voila! Animal crackers! 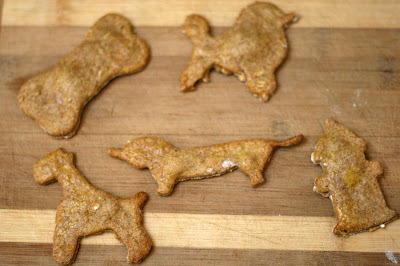 I think these would make great gifts or a lovely addition to a cookie swap-who makes homemade animal crackers? People are always impressed by homemade versions of traditionally store bought treats. Dipping them in chocolate makes them a bit more festive looking but isn't completely necessary. *Quick fact: it takes 100 lbs of nutmeg seeds to produce 1 lb of mace! Heat oven to 350 degrees. Line 3 baking sheets with parchment paper. In a large bowl, mix together all of the ingredients except for the beaten egg. The dough should easily form a ball and be rather firm. On a floured surface, roll out dough to 1/4 inch thick. Cut into shapes. Re-roll scraps (just once, any more and the biscuits will be tough) and cut out the remaining biscuits. Brush the tops of each biscuit with the beaten egg. Bake for 25-35 minutes or until golden brown and crisp. Remove to a wire rack and cool completely. Store in airtight container. 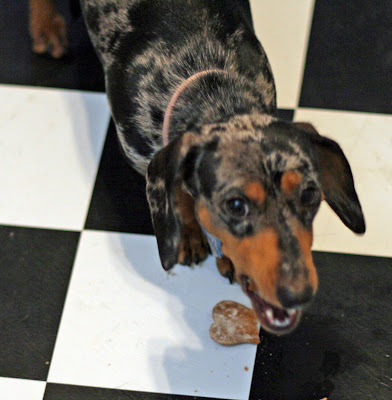 I have thought about making dog treats many times over the years but never actually took the the time to make them. I finally thought the time was right this year (think: cheap present!) and whipped up a batch for our three dogs Elvis (pug), Violet (whippet) and Pippi (dachshund), the neighbor's dog Rocky and my mom's two mixes Caramel and Star (who was my Grandpop's dog-he got her as a puppy when he was 81-13 years ago!) all of whom I thought would appreciate a treat. I don't know why I waited so long, they were super quick to make and I made them using ingredients I always have on hand so I didn't have to buy anything special. These particular biscuits are chicken flavored and full of whole grains. The dogs just gobbled them up! Tear the bread into small pieces place in a small pan and top with milk. Allow to soak 2 minutes over low heat or until the milk is full absorbed by the bread. Combine the milk-soaked bread with the rest of the meatball ingredients in a large bowl. 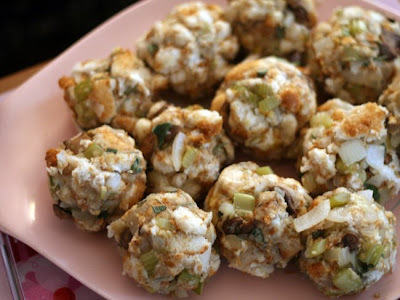 Then follow these directions to make mini meatballs or simply roll 1 tablespoon's worth of the meat mixture into balls and broil, turning once until they are cooked through. Meanwhile, in a heavy saucepan, melt the butter. Whisk in the flour and spices then the milk and broth. Bring to boil then add spinach and reduce heat and simmer until slightly thickened, about 3-5 minutes. Add the meatballs and cook for an additional 5 minutes. Serve over noodles or with boiled red potatoes for a meal or with toothpicks as an appetizer. 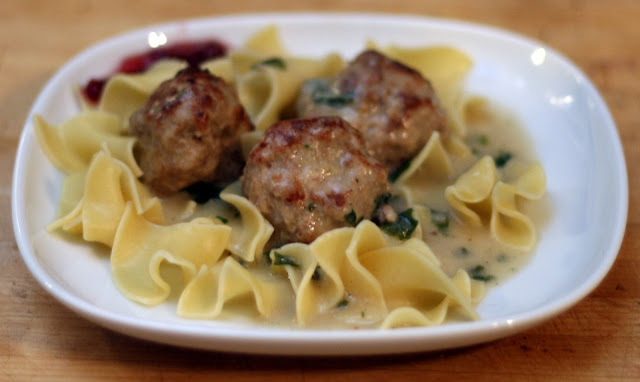 Swedish meatballs are a somewhat retro party food. Great as appetizers or a snack they also make a wonderfully comforting dinner. Who doesn't, if even secretly, love meatballs? They are easy to make and can be kept warm for a long time over a slow simmer on the stove or in the slow cooker. I call these Swedish-ish meatballs because there are a few differences between how I like to make them and what is strictly traditional. I like to use ground pork instead of beef or a pork-beef combination; they end up much less greasy and I think the flavor is better. Since I am using pork I like to use pork or chicken broth instead of beef stock. I also like to add spinach to the recipe to eliminate the need for a side dish when I am serving them as a meal and a splash of color when they are on appetizer duty. I also like to use milk instead of heavy cream in the sauce. The sauce is still quite rich and creamy but not nearly as heavy. Preheat the oven to 350. Line 3 cookie sheets with parchment paper. In a medium sized bowl combine flour, salt, and baking powder. In a large bowl, cream the butter and sugar until light and fluffy. Add the egg and vanilla and combine thoroughly. Gradually add the dry ingredients to the sweetened butter and mix until a very thick dough forms. Use a spoon to fold in the chunks then the pomegranates and distributing both evenly. Form cookies by dropping 1 heaping teaspoon of dough on the sheet two inches apart. Flatten slightly then bake until light brown, about 12 minutes. 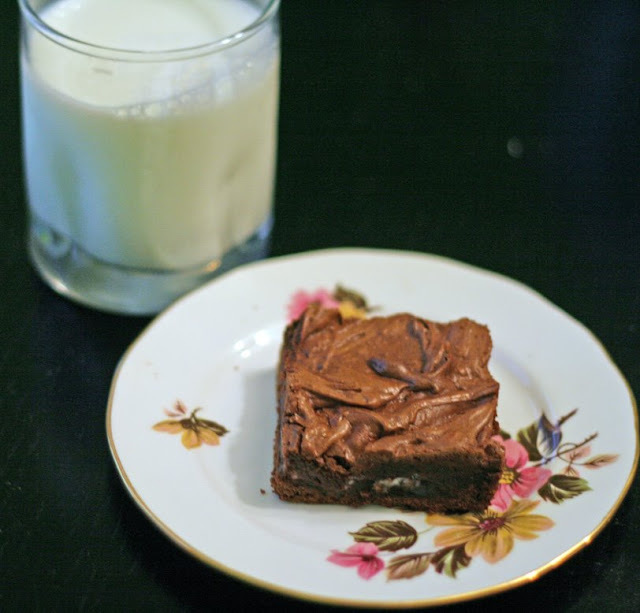 Let cool on wire racks (if you can wait that long) then serve with plenty of cold milk. *In the past I have a hard time finding high quality chocolate chunks but lately, I have been able to find Scharffen Berger chocolate chunks in both 62% Cacao Semisweet and 70% Cacao Bittersweet varieties at well-stocked grocery stores. I bet they will be even easier to find now that it is the holiday season so keep an eye out! 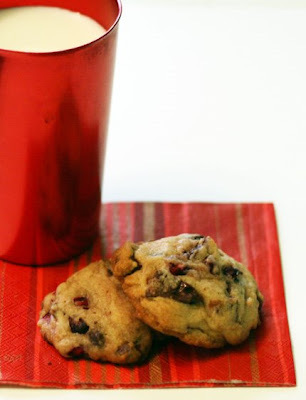 Sweet+tart=delightful cookies. I have never seen much less had pomegranate cookies before but I had a bunch of pomegranate seeds (arils) that I had liberated from 3 pomegranates and decided to give it a shot. I am glad I did! The pomegranate seeds keep their bubble of juiciness while the seed at the middle of each aril softens to the texture of baked nut. Grocery Lists, Menu Planning & Holiday Meals, Oh My! 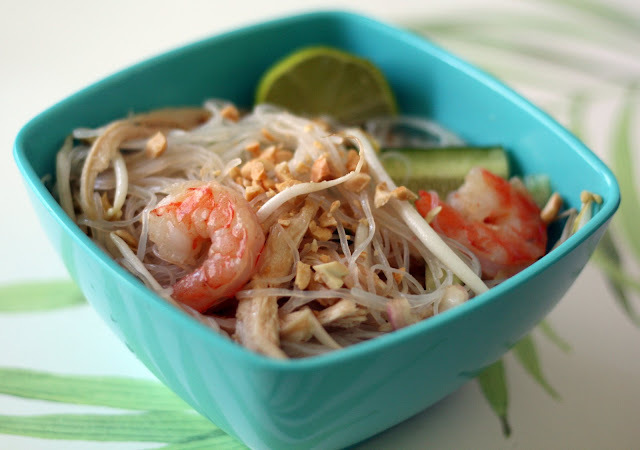 Spring the Coconut & Lime Weekly Meal Planner! showing up on the bottoms of some of my recipes so you can easily "spring" them into your online notebook to use and share with others. I hope you all take advantage of these new features! Place the spices, tomatoes, broth, garlic, onion and peppers in the slow cooker. Cover, and cook on low for about 6 hours. After 6 hours, add the corn and turkey. Cover and cook for an additional 45 to 60 minutes. In a large pot, saute the onions, garlic and habanero in a tablespoon of canola oil. Add the tomatoes and spices. Cook to a near boil then add the corn and turkey and reduce heat. Cook through. Slice the tortillas into 1/4 inch strips. Fry in a shallow skillet until crisp and golden. Drain on paper towel lined plates. Ladle the soup into bowls, then sprinkle with cheese, avocado, tortilla strips and serve with lime. 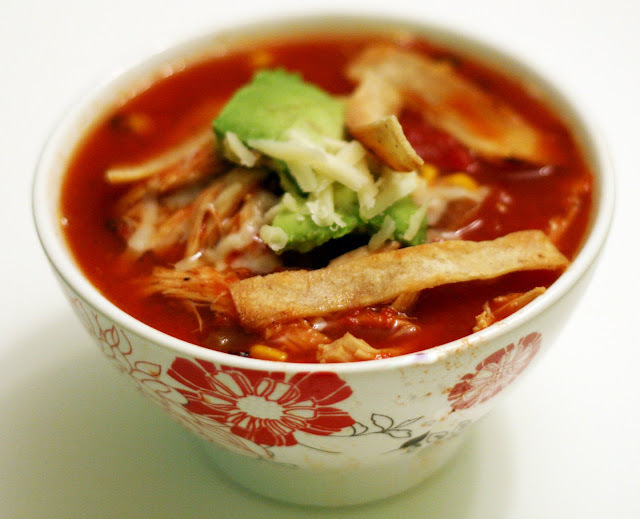 Tortilla soup is a Southwestern soup that comes in a few variations. This one is my favorite. The fire roasted tomatoes and corn give it a slightly smoky flavor which adds depth to the soup. The avocado and tortilla strips add texture interest. 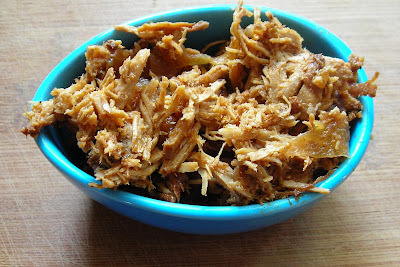 For this version I used turkey, but an equal amount of shredded (cooked) chicken could be substituted. I prefer the slow cooker method for this, it is even easier than the stove top method and the slow, low simmer really brings out the flavors but really either way yields an excellent, spicy, tomato packed soup. Note: A few people have emailed me about where to get the fire roasted tomatoes. I like to use Muir Glen fire roasted tomatoes and I have found them at both "natural" and "regular" grocery stores, just ask for them. In a large bowl, sprinkle gelatin over 1/4 cup cold water. Allow to seep for 10 minutes. In a medium saucepan, combine sugar, corn syrup, and 1/8 cup water. Bring to a vigorous boil and boil for 1 minute. Pour boiling syrup into gelatin and mix at high speed for 1 minute. Add the salt and vanilla and beat for 12 minutes. Quickly spread on one dozen cooled cupcakes. Allow to set (about 15 minutes) then brown with a small torch, or in the broiler. Be careful! This is a really marshmallow-y icing. In fact, it basically sets up into an actual marshmallow after a day or so, which you need if you are going to toast it, although it is just as tasty untoasted. 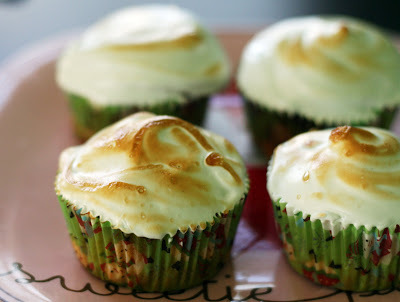 If you want a lighter more traditional marshmallow frosting, try this fluffy white icing, just don't try and toast it. However, I don't want this recipe's extreme marshmallowness to put you off, it makes a great frosting, just know that the longer it sits the more set up it becomes. Preheat oven to 350. Line or grease and flour one 12 well muffin tin. In a large bowl, mix together the egg, oil, buttermilk, and sugar. In a separate bowl, whisk together the flour, oatmeal, salt, ginger, zest, baking powder, and baking soda. Stir into the wet ingredients. Spoon 1 1/2 tablespoons of batter in 12 muffin wells. 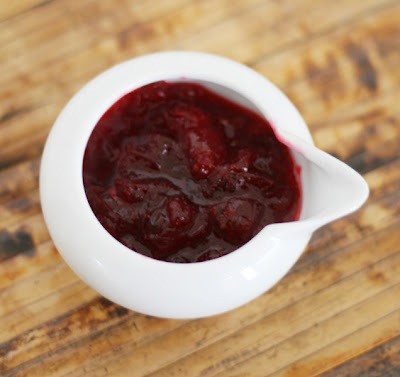 Top with 1 teaspoon cranberry sauce. Evenly divide the remaining batter among the wells, making sure the cranberry sauce is fully covered. Bake 15-20 minutes or until a toothpick inserted in the center of the center muffin comes out clean or with just a hint of cranberry sauce. Cool on a wire rack, serve. *Use your own favorite or make one of my versions: apple cider cranberry sauce, classic cranberry sauce, cranberry-tangerine sauce or ginger lime spiked cranberry sauce. After Thanksgiving the majority of searches that bring people to Coconut & Lime are "what to do with leftovers" related. While cranberry sauce is fine on a leftover turkey sandwich, some times there is just too much leftover. 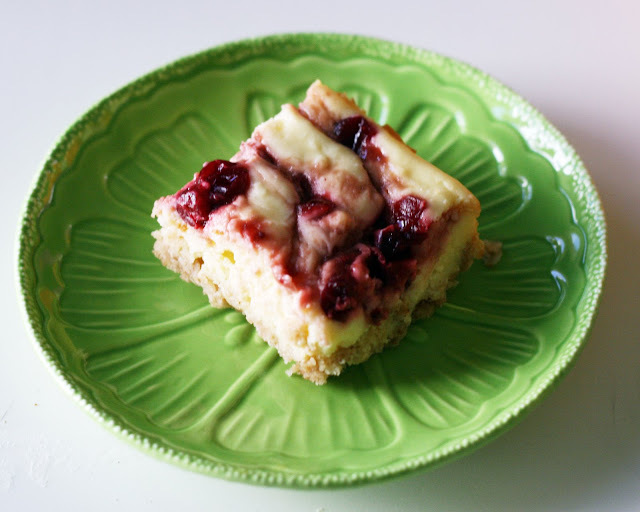 Two years ago I made a delicious cranberry ribbon cake with leftover sauce that remains to this day to be pretty much my favorite of all the cake recipes I've created. This year I thought I might be a little desserted out after Thanksgiving so I went a different way: breakfast. 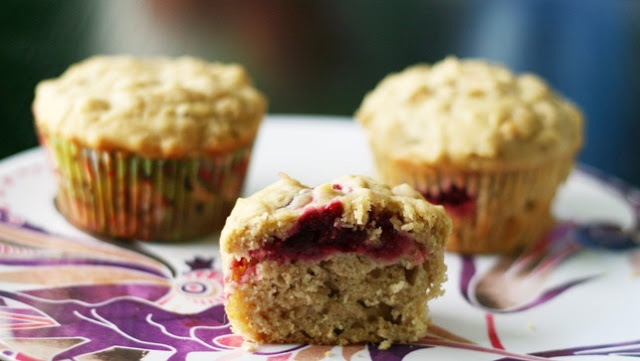 These muffins are super quick to make and very satisfying. As an added bonus? They freeze well. In a small bowl, whisk together all of the dressing ingredients, set aside. Prepare noodles according to package instructions. Set aside. In a skillet, heat the oil then saute the chiles, and garlic with shrimp and turkey for 1 minute. Toss with dressing, salad ingredients and noodles. Sprinkle with peanuts and diced onions. Serve with lime wedges. Every year I get a lot of "what to do with leftover turkey" requests. Frankly leftover turkey was never much of an issue in my family (we just ate the meal, had a sandwich and maybe made soup and that was it) but since I've had this blog, I've been making Thanksgiving-like meals way in advance so I can post new holiday recipes leading up the event and come up with creative leftover ideas. While checking out the competition, I've found most turkey leftover recipes are either a. some sort of creamy casserole, b. Mexican food or c. chili. All of which are well and good (and I still might make a chili this year) but I was thinking of something a little lighter. The last thing I want after a day of heavy food is more stick to the ribs fare. So I came up with this Pad Thai-inspired salad. It is substantial enough to serve as a meal but much lighter and healthier tasting than what you probably had on Thanksgiving. Note: I used bean thread noodles but I think that rice stick (normally what is used in Pad Thai) would be great as well. I actually only used the bean thread because I had a package of them and not the rice stick like I thought. Despite being rather different noodles I think both would work because they are neutral tasting and delicious even when served in cold dishes. Preheat oven to 350. Grease or spray with baking spray an 8x8 inch pan. In a small bowl, add the butter, sugar, flour, oats and salt, mix thoroughly with a fork. Press into bottom of the pan. Use the bottom of a measuring cup to flatten and press firmly. Bake 15 minutes or until just golden. Meanwhile, cream together the cream cheese and sugar. Add the egg, zest, juice and flour, beat until smooth. Pour over the crust. Dot with cranberry sauce and swirl with the tip of a knife. Bake 25 minutes or until set. Cool in pan on wire rack. Cut into squares. My husband loves cranberry sauce. Once cranberries make their appearance in the grocery store I start making cranberry sauce with any meal where it seems appropriate. I think I've made a different cranberry sauce just about every week since late October. This leaves me with a fair amount of leftover cranberry sauce to play with. 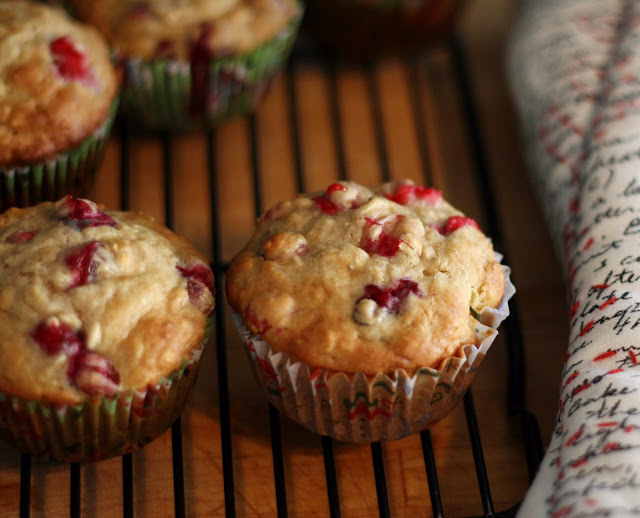 I've made yummy muffins with cranberry sauce already this year but I wanted to make a dessert with cranberry sauce that would be holiday-worthy. 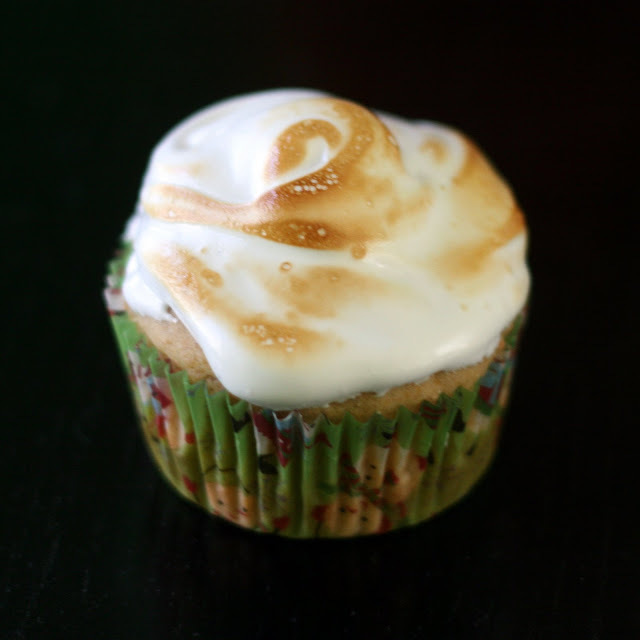 These are a snap to put together and can be made ahead. Prebaking the crust is a bit of a time killer but you can make the filling while it bakes and it ensures a perfect, crisp crust. I also liked using oatmeal in the crust, it is a little nontraditional but it really adds some body to the crust and actually makes the bars a little easier to slice and lift out of the pan. The tangerine flavor is present but not too strong, it just adds a citrus note to the cheesecake. I really can't say enough about this bars, they are just really good, my whole family raved over them and my mother deemed them "swoon-worthy". Note: any whole berry (i.e. not jellied) cranberry sauce would work, even store bought (!) but I think using this cranberry-tangerine sauce would be the best. Place all ingredients in the slow cooker, stir. Cover and put on low for 4 hours then check to see if the kernels are open and tender. If not, recover and continue to cook until they are, checking about every 15 minutes to avoid overcooking. Stir and serve piping hot. Note: If you don't have dried chervil, I think substituting parsley would be fine. Also, my rice was perfect at exactly 4 hours but I know there are some variations between slow cookers so you might need a longer cooking time. Thanksgiving is right around the corner and while it is always nice to share a meal with family and friends, Thanksgiving is a particularly stressful holiday when it comes to food because it really is the the focus of the entire day. Novice cooks or even experienced cooks that aren't used to cooking for a crowd have expressed to me how difficult it is to roast the turkey, make dessert and make a bunch of side dishes all at once and time everything perfectly. With that in mind, I came up with this easy and tasty side dish that requires virtually none of your attention. 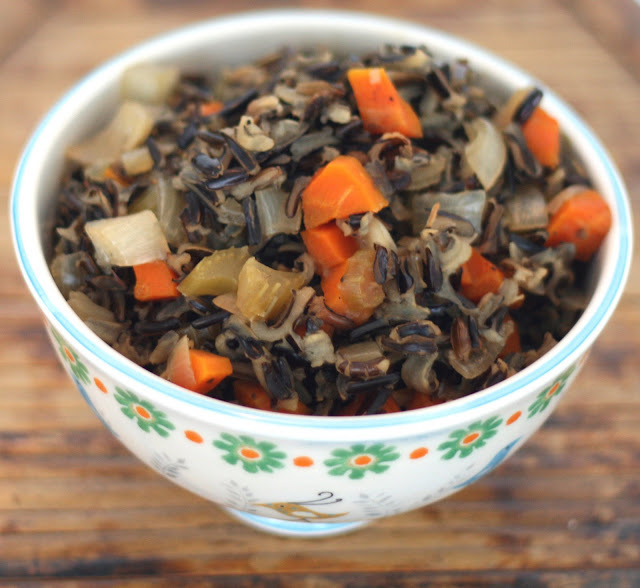 Wild rice takes forever to make on the stove top so it seemed to me that it would be a perfect to adapt to the slow cooker and it worked wonderfully. The resulting side dish is classic enough to satisfy the traditionalist but is much more flavorful than the usual pilaf and as an added bonus gets a lot of its flavor from vegetables you are probably using in other dishes. The best part of course is that once you put all the ingredients in the slow cooker, you don't have to do a thing until it is ready to serve and you are not taking up a burner on the stove. Pour into a pie plated lined with a pie crust. Top with a second pie crust and pinch shut. Pierce the top crust with a knife or cut out shapes to vent. Bake 30 minutes or until golden brown and bubbly. Cool then slice to serve. *I like to use Stayman-Winesap apples for pies. They are firm, slightly tart, spicy and hold up well to baking. This year I bought a bushel of Stayman-Winesaps at the farmers market and knew I'd have to make a pie. My Grandpop always requests an apple pie instead of cake for his birthday and since I loathe pumpkin pie, I always hope for one at Thanksgiving. 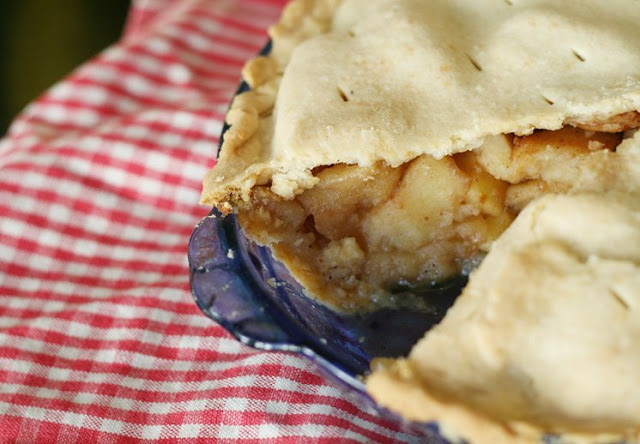 There is just something very comforting about apple pie. This is a pretty straightforward apple pie but pairing it with the cheddar-black pepper crust really makes it something special. I don't like super sweet desserts so a savory crust combined with a sweet, spicy apple filling is my idea of pie perfection. Preheat oven to 350. Place the pepper, butter, flour and cheddar into a food processor. Add water one tablespoon at a time and pulse just until mixture sticks together. Form the dough into two balls. Roll each into a crust. 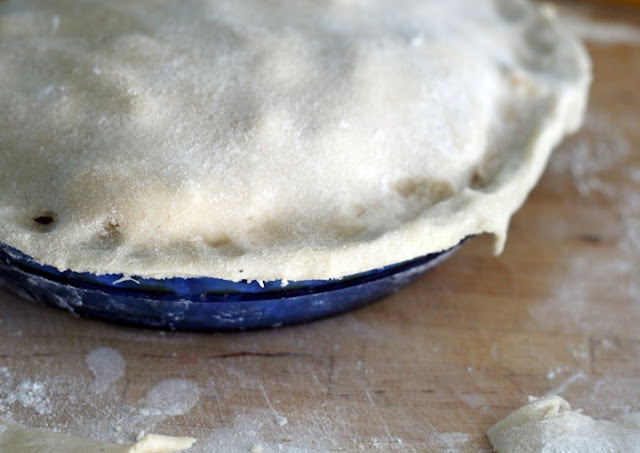 This a great savory pie crust that goes with a variety of pies. It is just slightly spicy and the cheddar gives it a great flavor. Try it with apple filling. There is just enough cheddar to give it a distinctive cheddar taste but not so much it overpowers the filling or gets gooey. 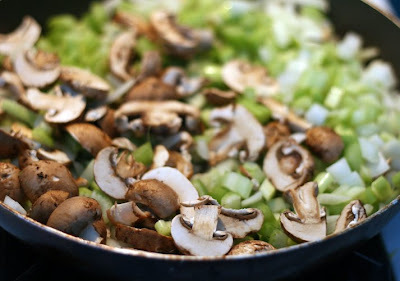 In a large pan, saute celery, mushrooms and onions in butter and olive oil over very low heat until the onions are translucent. Do not brown. Add to bread cubes in bowl and add seasoning. Combine with egg and broth. Form medium-sized balls. Refrigerate until ready to use. Place balls in the bottom of the roasting pan under the rack and around the turkey or chicken on the rack for the last 1/2 hour of roasting and cook until cooked through. I made this stuffing when I made my sage roasted chicken but it easily is enough to serve with turkey instead. I love making stuffing balls because you can place them in the roasting pan to absorb the juices (but not all of them, there is often enough leftover to make gravy with) without having to actually stuff the bird which can lead to bacteria growth and food poisoning. It is really my favorite part of roasting a chicken or turkey. In fact I often roast a chicken or an extra turkey during the Winter just so I have an excuse to make (and consume!) vast amounts of stuffing. 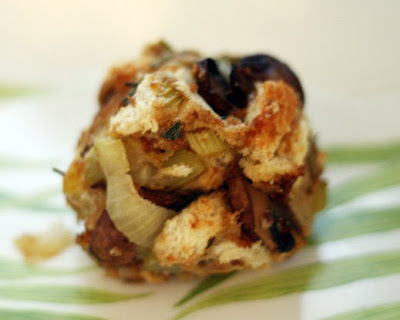 This particular stuffing is a herby variation on the stuffing my family serves at the holidays. The flavors of the sage and rosemary, while present, are mellowed by the roasting. Place the potatoes in the slow cooker. Add garlic, broth and rosemary. Stir. Cook and cook on high until potatoes are tender, about 3-4 hours. Pour in milk, butter and sour cream, mash. Serve right away or adjust the setting to low to keep warm until you are ready to serve. Someone sent me a link on Twitter for some slow cooker mashed potatoes. The recipe itself didn't look too appetizing (it called for spreadable, flavored cream cheese) but I liked the idea so I came up with this recipe. Anyway, of course it is quicker to make the potatoes on the stove but making them in the slow cooker is perfect for the holidays or entertaining. Not only do they keep warm in the slow cooker for as long as you need them but they free up a burner on the stove and eliminate the need to boil water or keep an eye on them. The garlic in these takes on a mild roasted taste and just melts into the creamy (but not too rich!) 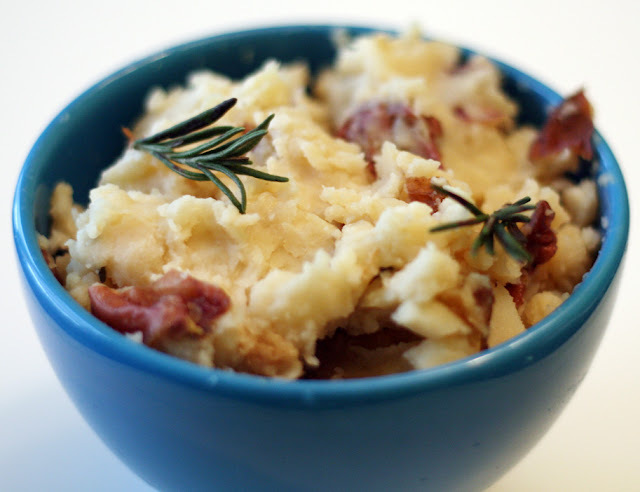 mashed potatoes. Mix the spice rub ingredients together. Rub them on the pork. In a large skillet heat the oil and then brown the roast well on all sides. Place roast in slow cooker. 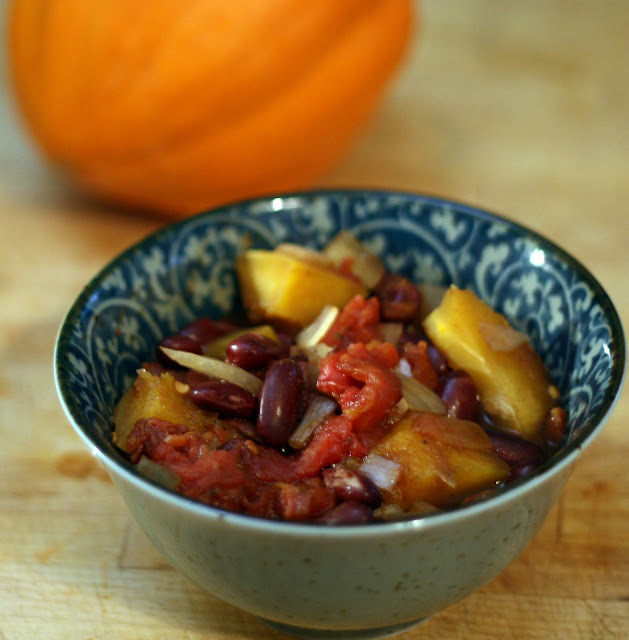 Add all remaining ingredients to slow cooker. Cook on high in the slow cooker 6 hours**. When done, meat should shred easily with a fork. Remove roast from slow cooker. Shred with a fork (or use your fingers) and set aside. Mash any solid bits of the sauce with a potato masher. Return the pork to slow cooker, and toss to evenly coat with sauce. Serve on rolls. *I used Mackay's, it is found in the jam and jelly aisle or with international foods. Is there such a thing as too many pulled pork recipes? I really hope not because I have posted a lot of them over the years. To date we have your basic pulled pork which was the first time I had ever made it then I branched out to East Meets Southeast Barbecue Pulled Pork which inspired me to create my absolute favorite pulled pork (and one of my favorite recipes ever) Smoky Mango Pulled Pork which lead to the fruity Blackberry Chipotle Pulled Pork then the Island Pineapple Pulled Pork and now this Caribbean inspired Calypso Pulled Pork. That's a lot of pork. Beside my love of pork, one of the reasons I made so much pulled pork (although now that I think of it, five or six recipes spread out over 4 1/2 years out of about 800 recipes isn't too much) is that it is one of the best things you can make in the slow cooker. Despite the slightly uninspiring picture here, it is effortless to make juicy, tender flavorful fall apart pork in the slow cooker. There is no need to add anything extra during the cooking time, it makes its own sauce and the pork can cook for hours only growing more tender. I actually like to use the slow cooker more during the hot steamy Summers Baltimore is famous for but it is great on a crisp fall day. Just plop everything in the pot, turn the knob and head out for day knowing you will be rewarded with succulent pork for dinner.